What Does Kim Jong Un Want From Donald Trump and What Will the U.S. President Make Him Give Up to Get It? 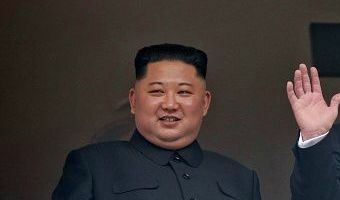 World Donald Trump Kim Jong Un International Affairs President Donald Trump and North Korean leader Kim Jong Un are meeting in Vietnam to discuss the denuclearization of the Korean peninsula, and many observers are waiting to find out what the two leaders will agree on. The White House announced Wednesday that Trump and Kim will sign a joint agreement at the end of their two-day meeting on Thursday, but little is known about what will be included in the document. Following their last meeting in Singapore in June, the two leaders signed a declaration stating their intention to denuclearize the Korean peninsula and forge stronger ties. But analysts were quick to point out that both countries have very different ideas of what denuclearization will look like. Still, some analysts say that this meeting could yield more concrete results than the previous one. What North Korea wants from the meeting is clear, experts say. “The deal I see is a four-part deal that would be historic if it … [Read more...] about What Does Kim Jong Un Want From Donald Trump and What Will the U.S. President Make Him Give Up to Get It? Lacy Johnson seems like he’d be really good candidate for the Minnesota Legislature. There’s just one problem. Lacy Johnson has a perfect profile for a candidate in Minnesota legislative district 59B. Almost. Johnson, a Mississippi native who’s lived in north Minneapolis for nearly four decades, is a University of Minnesota graduate with a career in software programming and systems engineering. 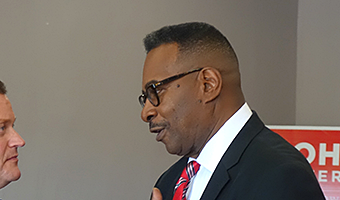 A member of a prominent north Minneapolis congregation, Johnson helped found a charter school and currently leads a startup to help economically disadvantaged young people get careers in computer technology. He’s African-American in a majority minority district. So what’s the problem? Johnson will appear on the November ballot with a label that hasn’t attracted a lot of support in 59B: Republican. While the district is economically diverse — it includes the Mill District and North Loop as well as Near North and north Minneapolis, it is not politically diverse; it is one of the safest DFL districts in the state. Two years ago, incumbent Rep. Ray Dehn defeated Republican … [Read more...] about Lacy Johnson seems like he’d be really good candidate for the Minnesota Legislature. There’s just one problem.